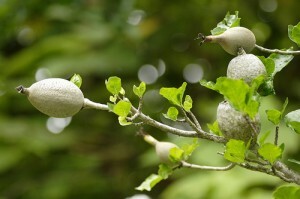 Elements Applied: Fruit is commonly applied in herbal medicine. Used For: The herb is known to boost blood circulation, reduce fever, treat inflammations, and promote bile movement. Gardenia fruit is used to cool blood, reduce fevers, and resolve bruises. The herb is applied for fevers accompanied by urinary infections, anxiety, or irritability. It is also applied for mucous membrane hemorrhage, like nasal bleeding, urinary tract bleeding, or intestine bleeding (hemorrhoids). To relieve bleeding, take herb ashes best, either topically, or orally, at certain time periods. Preparation and Intake: The remedy is commonly used at a dose of 3-12 grams. Safety: In case of diarrhea Gardenia fruit should be avoided.